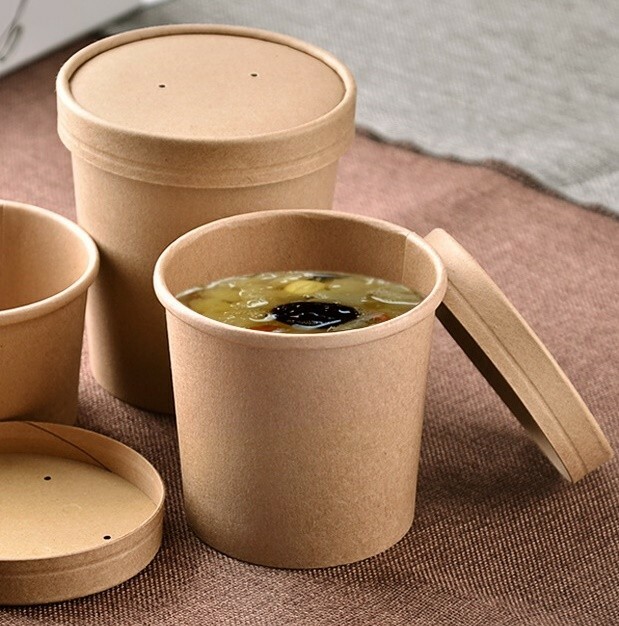 Our new ECO Series Kraft products are designed for food delivery, fast food restaurants, catering and cookery. You can originally present ice cream or desserts, salads, main dishes, soups, tea or coffee, and much more. This packaging can be a good marketing tool, it helps you stand out from the competitors, improve the company's image, highlight your quality and natural products. Your logo and design can be printed on the packaging.